Summer Is Here & Goa Brewing Co Has A Cool New Pineapple Beer! Our favourite craft beer company, Goa Brewing Co, has a new, limited edition variant and our excitement is a little out of control. Save your love for Pineapple Saison! Tadaa! This new beer traces its origins back to Belgian farmers who treated themselves to pineapple beer, occasionally throwing wild berries, ginger and other local herbs into the mix. This was primarily made in cold months to be had when the weather turned sunnier. Now, since pineapples are aplenty in Goa, the folks behind our beloved Eight Finger Eddie, decided to work their magic with another local ingredient. They scoured the best pineapple farms and have now worked their signature hoppy spin on the beer. Marking the brand’s second big release, Pineapple Saison celebrates a typical Goan summer afternoon. Think a pulpy, fruity and tart beer that’s meant to be chilling with you on the beach or hanging out at local bars like a boss. If you haven’t gathered, this is also a unique farm-to-bottle and probably your only chance at saying you had fruits for breakfast. 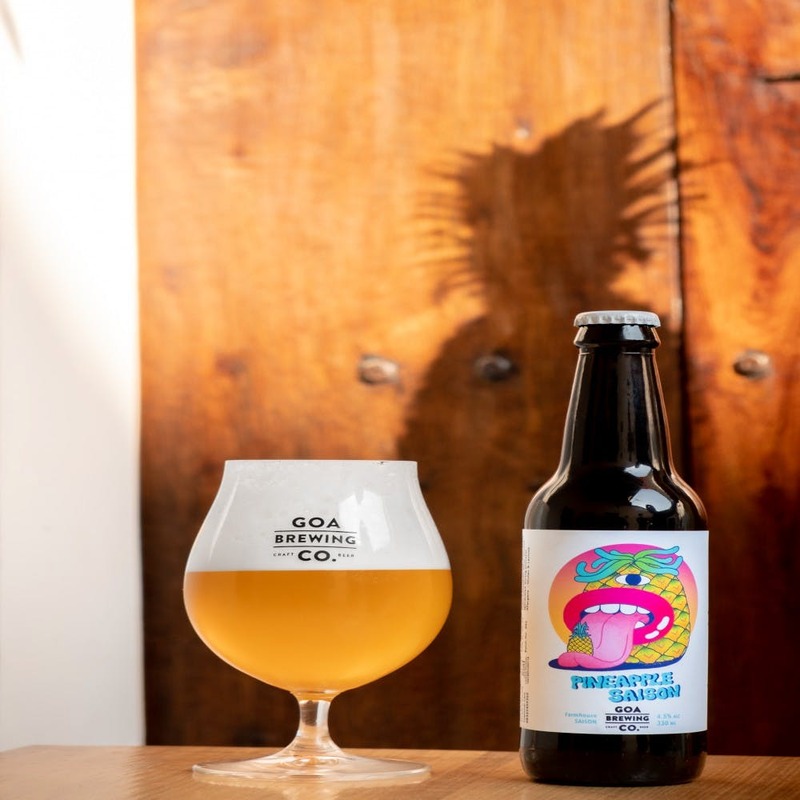 Oh, and because Goa Brewing Co. is so cool, they've supported a local artist (hey, doodlemafia) to design the artwork on their pineapple beer bottles. P.S. Since it’s a seasonal release, Pineapple Saison will be available only through March in Goa. You can find it at places like Vaayu Village, Burger Factory, Escobar, Joseph Bar, Cafe Susegad, Montego Bay, Silver Sands and departmental stores like Delfino's (Porvorim and Candolim), Vaz Enterprises and Newton's (Calangute and Candolim). Also On Goa Brewing Co. This Goan Brewery's Inside A 250-Year-Old House & They Offer Beer Tours!